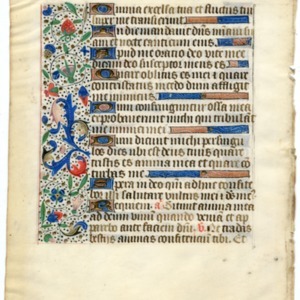 Leaves of manuscripts aggregated in three books and provided to the College by Miss Etta Hanson in the 1940s. 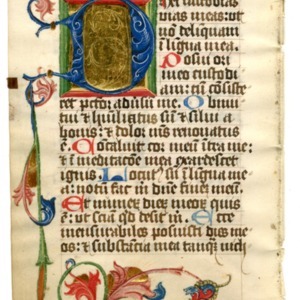 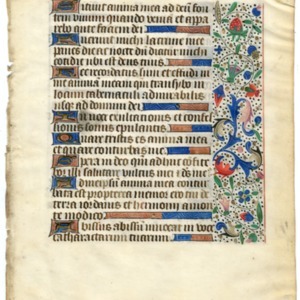 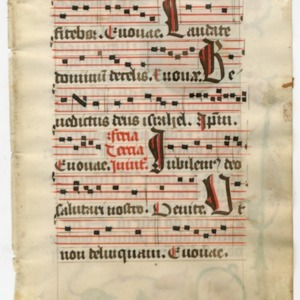 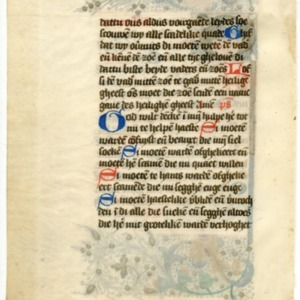 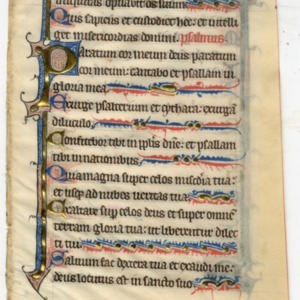 Book of Hours - Versicle and Psalm from a private book. 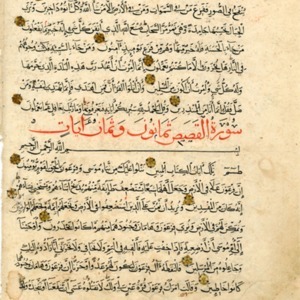 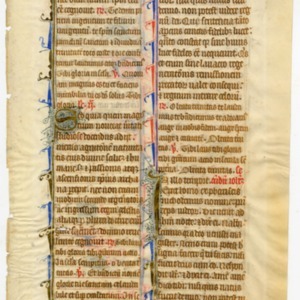 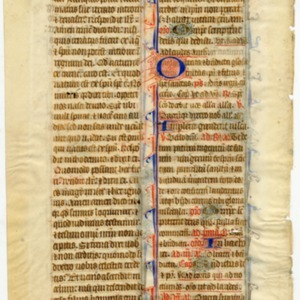 Vellum. 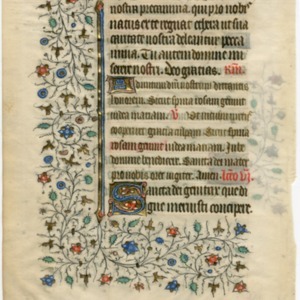 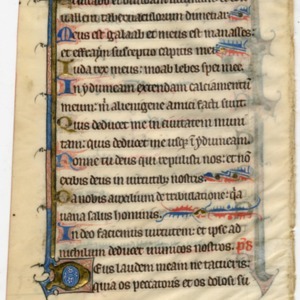 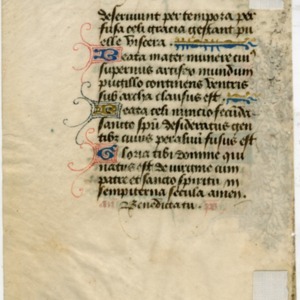 Regular gothic book hand enriched by ivory decoration in the margin. 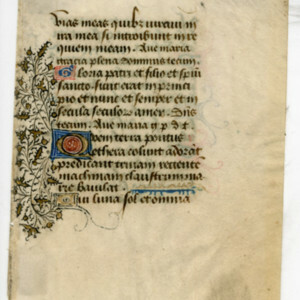 Illuminated initial letter. 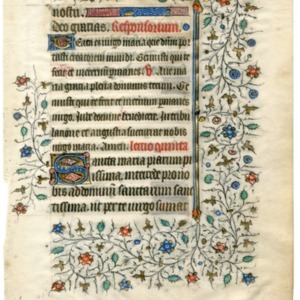 This image is from a collection created by Etta Hanson and given to the College in 1954. 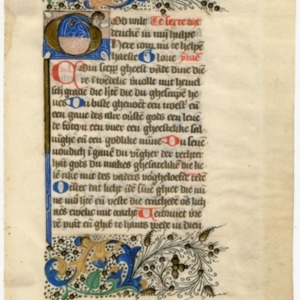 All items are from Otto Ege's estate.